It's March 1942 and for 10 year-old Manami Tanaka, walking on the beach near her home on Bainbridge Island, Washington with her grandfather and their dog Yujiin before they walk together to school is always a treat. Except now, there is war and there are warships carrying soldiers passing by. At school, Manami is told it is her last day, the last day for all the Japanese students. Instead of school, Manami, her mother, father and grandfather must register in order to be sent away to an unknown place taking only what they can carry. Grandfather has made arrangement for Yujiin to be picked up by their minister, since not pets are allowed to go with them. Unable to leave him behind, Manami hides the little dog inside her coat and no one notices until they are far from home. A soldier puts Yujiin in a crate and he is left behind. Traumatized by all that she has just experienced, unable to bear the pain of losing Yujiin and the hurt it has caused her grandfather, Yujiin finds herself unable to speak. Eventually, the Tanaka's arrive at a half built Manzanar internment camp, where they must share one small room with a women and her many children. Mr. Tanaka joins the building team responsible for constructing new barracks as more and more Japanese family arrive. Mrs. Tanaka takes a job working in the kitchens. Both parents are thankful that their older children, Ron and Keiko, are still away at college, but Manami writes and asks them to come to Manzanar. The letters get lost, but soon Ron arrives. Eventually, a school opens and Ron takes a teaching job there, which makes Manami very happy. She begins to believe that Ron got her letter to him because it was caught by the wind which blows all the time. Still unable to find her voice, and living with unbearable guilt over what happened to their dog, Manami begins to think she sees Yujiin looking for her around the camp. Realizing he isn't really there, Manami begins to write letters to Yujiin to come to her in the camp and releases them into the wind. Anyone who has ever lost a pet tragically will understand Manami's heartbreak - but she is dealing not just her own feelings, but also having to see her grandfather's heartbreak as well. And this heartbreak is compounded by the sudden loss of everything she ever knew, and removal to a hostile, unfriendly crowded place surrounded by barbed wire and guards with guns, and all because of her Japanese heritage. I can't even imagine how a 10 year old could cope with all that even with a strong, understanding family like the Tanakas. Lois Sepahban has drawn realistic, believable characters, who even under these terrible circumstances show a level of courage, dignity, and resiliency that is admirable, and who despite the worst circumstances, manage to thrive, like Mrs. Tanaka's garden. It's a short novel, told entirely on the first person from Manani's point of view, which accounts for the lack of many things that went on around her but she which has no knowledge of. In fact, Paper Wishes almost feels like a novella, and yet, the writing is so expressive, so emotional, it almost reads like poetry. 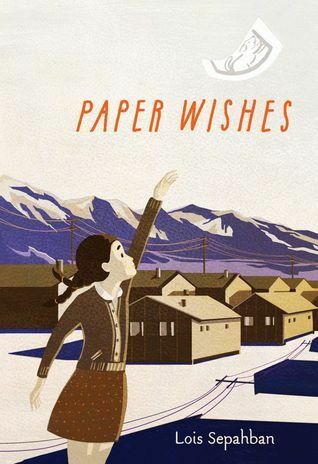 Paper Wishes is Sepahban's debut middle grade novel, though she has a number of nonfiction works to her credit. It is an excellent work of historical fiction, though it is not a history book about Manzanar, but rather about the traumatizing effects displacement, discrimination and loss have on one young girl and her family. And it is a novel that will certainly resonate with today's readers. Be sure to read the Author's Note at the end of the novel. Hello Alex, you really do find the best books! 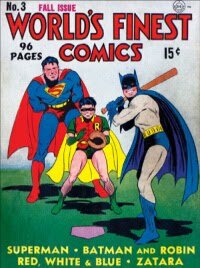 This is another one to add to my must read list. I have lost a dog (four, in fact) the pain is unspeakable, but imagine that together with everything else Manami went through, and it becomes almost unbearable.